Portcullis & Swan Tapered Fire Grate - 16"
The Portcullis & Swan Tapered Fire Grate is designed to be used with Milner back fireplaces. A great British made product. 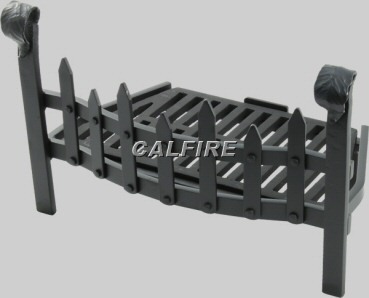 Width: 15.25" Depth: 10.9" Height: 10.75"
Portcullis & Swan Tapered Fire Grate - 18"
Width: 17.25" Depth: 11.75" Height: 11.5"